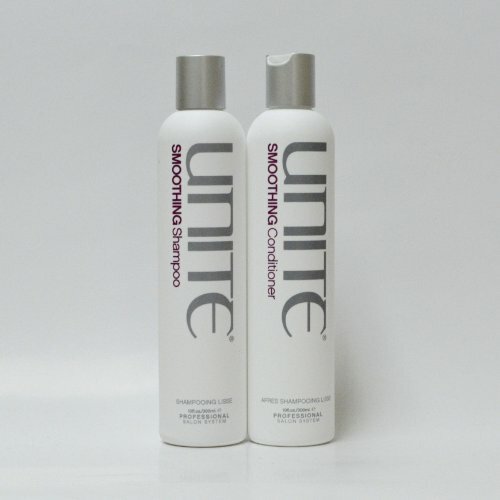 Unite Smoothing Shampoo & Condition 10oz 300ml Duo Set - Luxury Beauty Care Products ! Key Ingredients: Guar Gum: Smoothes and de frizzes Moringa Seed Extract : Color Locking Antioxidant Botanisil: Moisturizes, locks in color, thermal protector Proudly Free of: Sulfates Parabens Gluten Sodium chloride Dea Mea 100% Vegan Color SafeTame rebellious flyaways, smooth unruly frizz and add sumptuous shine. It's just that easy. Take the reigns and enjoy the smooth ride!